The problem bands like The Horrors or A Place To Bury Strangers have is that they're compared with their influences and sourcesexcellent records that shaped history to be able to influence bands decades later. In the end we are left with our recollections of the classic record, to compare it with the new. Ever since The Jesus and Mary Chain's record “Psychocandy” took a particular segment of a generation by storm, critics have been on the lookout for the new “Psychocandy”. “Exploding Head” by A Place to Bury Strangers and “Primary Colours” by The Horrors, despite being two vastly different albums, have both been called the new “Psychocandy”. The trouble with this sort of comparison for the bands is that after getting weighed against such a celebrated yardstick as “Psychocandy”, they are stuck; a new direction would leave the bands' original fan base disenfranchised, while the same thing would eventually leave fans of the music feeling like they're derivative or stuck in a time or place. Most famous bands today sound like a horribly watered down version of classics from before our time. A Place to Bury Strangers and The Horrors sound like they clawed their way out of '80s garage rock, with both punk and goth ('80s proper goth rock; not the eye-liner and hair-straightener loving preteen fantasy) influences. A Place to Bury Strangers is unofficially called the noisiest band on the planet, and their debut record, To Fix the Gash in Your Head is a true testament to that. They play a brand of heavy, wall-of-sound inspired, distorted noise rock. Obvious nods to My Bloody Valentine and The Jesus and Mary Chain. 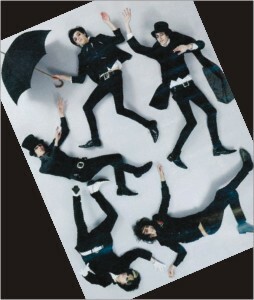 The Horrors, quite similarly, were born in an explosion of noise and feedback. They are dark and theatrical; their soundscape is a decadent and macabre world. Though vastly different from A Place to Bury Strangers, both bands share obvious influences. In many ways, the comparisons help; the short lived period of the '80s Joy Division, Echo and the Bunnymen and The Jesus and Mary chain, as well as the '90s My Bloody Valentine and Ride, could have been longer. And fans can now enjoy the same feedback drenched, droning sound of the classics. But “Psychocandy” didn't need any record to be what it is today. The part of “Psychocandy” that appealed to its listeners most was that under the noise and feedback there was a real human presence a group of people that seemed to speak for a generation of misanthropes. All though a very small fragment of a generation, this fragment had, nonetheless, found something of a voice. Most people have never been exposed to the likes of The Jesus and Mary Chain; they were never for most people to begin with. But the select few that “Psychocandy” spoke for and spoke about will agree that “Primary” Colours or “Exploding Head” cannot possibly feel like listening to “Psychocandy” for the first time felt like. That sort of connection, for real fans, is made only once. But that isn't necessarily a bad thing, we must learn to stop making these comparisons; both the mentioned records are really good by their own right, and that's what we should look for, instead of looking for the new version of an album we already love too much to replace. This review isn't really about “Psychocandy” either, it's about the two records “Primary Colours” and “Exploding Head”, and here's honestythey are great as long as you don't expect the same bond you had with whichever classic. 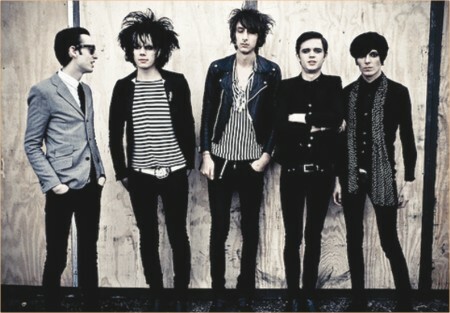 Yes, the Horrors dude does sound like Ian Curtis, but he isn't Ian. A Place to Bury Strangers gazes into as many shoes as My Bloody Valentine (pardon the obscure joke) but they are a different band altogether. “Primary Colours” makes for a great album for heartbreakfor that special kind of ache that good music and moving about to the rhythm of music in the dark confines of your room might distract. The title track and 'Who Can Say' in particular is likely to remain with the listener long after the record has been listened to. “Exploding Head” is less dark, but infinitely more fast, loud, noisy, energetic and a lot more aggravated and aggravating. One scarcely has to mention what repeated listens to this album may be good for. From the catchy, familiar opening of the helpless and sad “It Is Nothing” to the maddeningly noisy end of the both accusatory and loving “I Lived My Life to Stand in the Shadow of Your Heart”, the album packs pure energy. These two records are certainly not the new “Psychocandy”, and they may not end up having a similar cultural impact, but they are both great, with all comparisons ignored. *The irony does not escape the writers that this article, built on comparisons, asks readers to ignore them. This game cannot be presented in the regular mundane and conventional manner. There has to be a drum roll. There has to be some other weird subliminal music that builds up tension to a monumental scale. And then comes a massive explosion. A huge fireball disintegrates the helicopter 20 thousand feet up in the sky. A lone figure manages to jump off right before the bang. He plummets towards the ground at an incredible speed, possibly reaching the speed of sound, as clouds swoosh past him. To top that, random shots from the flak cannons rips open the sky as enemies down below try to get a piece of him. As he dodges the pellets, the splinters and fragments of the exploding shells, he pops the chute exactly at the right time, gliding down on the enemy and guiding himself to the sweet spot using his portable grappling hook to maximise the chaos that he is about to unleash. The next thing you know, he walks away from a massive flaming wreck of the enemies' base, completely unscathed and cool, while the minions of evil who stood against him but minutes ago, lie riddled in lead. Who is this awesome character? Well he is not the Bond, nor the Bat. He is the protagonist of the new game 'Just Cause 2' and his name is Rico Rodriguez. Rico returns to Just Cause 2 to release utter destruction to the fictional South Asian island country of 'Panau'. This sandbox game is all about blowing up stuff and creating chaos. Yes that's right, making a mess of stuff is so important to this game that you actually get 'chaos points' for blowing things up. Rico (who is a character of possible Spanish origins) can just about do anything. Whether it's riding bikes, cars, boats, flying planes, helicopters and even jumping from vehicle to vehicle (Yes planes and helicopters are also considered), Rico is the super-agent that Bond aspires to be. He achieves this with his cool Spanish charm, his hombre accent, his amazing ability to balance on just about anything, topped off with his trusty wrist-attached grapple hook and an unlimited supply of parachutes. Rico works for the US backed Agency which tries to regain control of US interest in the country by sending Rico in to destabilise the nation and assassinate the self acclaimed president. He does so by creating havoc in a much unorganised manner, and also by choosing to do unnecessarily cumbersome missions for various criminal organizations. And how does he achieve his goal in the end? Well the first paragraph actually sums up how he does most of his missions, and surprisingly it wasn't exaggerated. What is more amazing than the gameplay, is the sheer size of the world and awe-inspiring beauty of the graphics. Sure, you need a pretty cool graphic card for it; possibly something like a GeForce 8800 or an Radeon HD 4650, which aren't really that high-end anyway, but it is definitely worth it. From the stunning sunsets to the magnificent lightning during the storm, the weather effects of the game is absolutely superb. The environment of the game, along with the size of the world, which seems utterly endless, blends together to form an amalgamation of unreserved splendour. However, all the adjectives in the world still cannot make the game the finest there is. The targeting system is very uncomfortable, and the character can't take cover behind objects, which to some is completely preposterous, especially in the modern world. Surprisingly, Square Enix together with Eidos came up with the game, so the corny dialogues and stunts are both to be expected and to be grateful for. For Square Enix, Final Fantasy was an utterly awesome series of games, but not all games were meant to be turn-based. Thankfully, they teamed up with Eidos (the creators of the ever-so-awesome Hitman series) to create this crazy ride. The story of the game is also not to the calibre as that of the gameplay. The worst part of the game is that it does not run on Windows XP, so boot up your PCs for Windows Vista or the better Windows 7. To sum it all up, Just Cause 2 is not a game but an experience. It is basically all the things a regular game-junkie would like to do from the safety of her/his room. It's like the muscle cars you read about in the papers. Its all pretty looking with a massive monster tucked under the bonnet, with immense power released at your discretion. But when it comes to cutting the corners and becoming a real super-car, failure is imminent. Thus is the story of Just Cause 2. Gamespot describes it as ridiculous in the best possible way, but one thing is for sure, if you get a hold of it, boredom would be a thing of the past. Who doesn't like blowing stuff up just for the heck of it?